The much-awaited sequel to Marvel’s 2012 action blockbuster The Avengers is finally out, and this time, with a scene-stealing CGI bad guy who is actually charming, in a disillusioned/hurt/bad boy sorta way. And we love a good bad boy here at Tea For Tammi. The movie opens with your typical comic book action scene – The Avengers fighting off hundreds of faceless baddies at a go, with Captain America and Thor flexing their impressive rippling back muscles, and charming closeups Tony Stark’s well-lit face. All executed with the very height of drama and grace…well, with more grace if the CGI wasn’t so overdone. Clearly, in the age of amazing CGI in the world of robotics, human movement still has some road blocks to overcome. You can clearly see in the opening credits, that Captain America and Thor are created in a computer programme, because they are lithe in a way that only a cartoon character can be. Thankfully, the CGI doesn’t cause too many more issues in your suspension of disbelief – except for this one scene where the Black Widow is touching the Hulk’s green hand, and Scarett Johanssen’s normally slender fingers look curiously sausage-like. Like, prepare-the-mustard-and-corn relish sausage-like. The plot is fairly stock-standard: The Avengers come together to fight another super villain who wants to end the world, this time in the shape of Ultron, a megalomaniac robot with Artificial Intelligence that behaves like a surly toddler. In a charming way, of course, because he is voiced by the everyone’s favourite surly/bitchy guy with the best one-liners: James Spader. 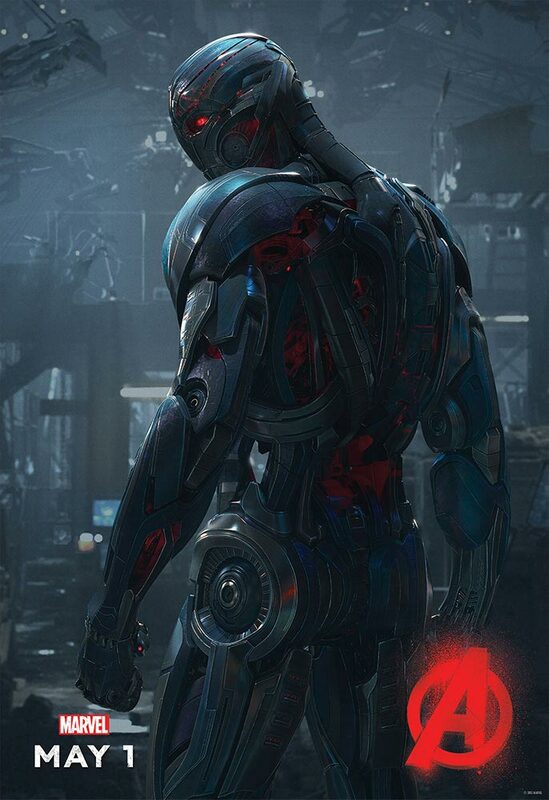 James Spader’s Ultron makes you believe that a robot hell bent on Earth’s anhiliation actually has feelings, and this is ultimately his driving force in all the chaos he creates. There is something creepily child-like about his performance, and the whole thing seems like a massive temper tantrum to me. Also, in some parts he started to sound like Martin Mull, another actor I associate with man-child characters. Otherwise, the movie was great popcorn fodder. Though, for the controversial sexism that surrounds the movie, no one seems to talk about how The Avengers is actually all about eye candy for women, rather than men. How many chicks are in this? 3? How many men with rippling bodies in various tight suits – and tight butts – are there? Because robot butts need love too. And did anyone else find it distracting when there were capes going every which way during the fight scenes? No? No one else heard Edna Mode’s voice in their head? NO CAPES. It’s thoroughly enjoyable, with slightly more fleshed out characters than the movie before, making them human and relatable. Especially Hawkeye, who I really didn’t even see as a substantial character before at all. I also liked the peaks and ebbs in what could have been a flat out action movie: there were some scenes that pulled at your heartstrings, and it wouldn’t be a Joss Whedon movie unless a character you liked died. Money well spent for a fun night out with friends. Good stuff. The pictures for this post has been sourced from Google. If there are any issues, please feel free to contact us at tammi@teafortammi.com. Have you seen The Avengers Age of Ultron? What did you think? I’d love to hear all about it in the comments down below!